This book equips Board members and C-suite executives with competencies in IT / digital governance that should help organizations to navigate the often risky course of IT investment and digital transformation. By adopting the governance controls described in this book, organizations should be well-equipped to avoid digital investment disasters because they will know what questions to ask. 4.0 out of 5 starsI found the chapters on IT Disaster Case study and Ten Questions Boards should always ask to be particularly helpful. 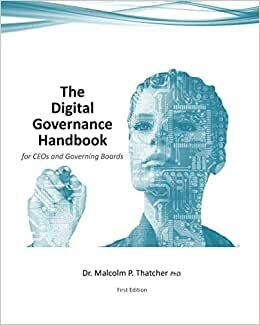 This is a well researched, easy to read and practical guide for people in organisations wanting to learn more about governance as it relates to digital, and what needs to be done to obtain return on investment.